Since opening in Altona North in 2011, Denture Care Clinic have provided expertly constructed and fitted dentures to Melbourne clients. Ahmed Saoud, our dental prosthetist, is a qualified professional who’s been operating in the dental industry for over 20 years. Specialising in denture construction and repair using contemporary techniques, he’s expertly supported by trained staff. Today, Denture Care Clinic have expanded to cater to clients in Melbourne’s outer area with two specialist denture care clinics, one in Altona and the other in Lara. A dental prosthetist is a qualified professional that specialises in the fit and creation of full and partial dentures. 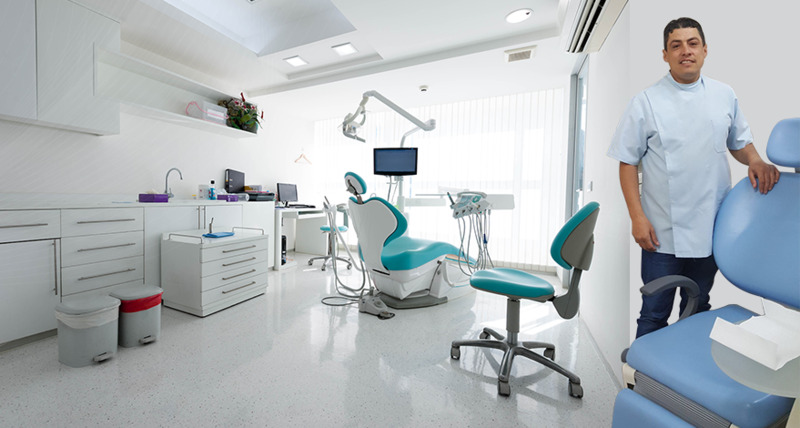 These professionals differ from both dentists and dental technicians, although they must first become qualified as a technician and work under the guidance of a dentist for two years. Once this is completed, they need to undergo further academic study to become a dental prosthetist. To carry out this work, they must have steady hands, good people skills, a strong attention to detail and a considerable measure of creativity. Choosing a prosthetist rather than a dentist to create and fit your dentures can make the process more straight-forward, as they specialise solely in dentures and can complete them without having to consult with other professionals. Their work will often result in a superior, well-fitted denture, and can also save you time and money. Contact us for your free, no-obligation initial consultation with our dental prosthetist. Our Melbourne facilities are modern and comfortable, enabling us to provide exemplary customer care. We can also come and visit your home to discuss your dentures. Denture Care Clinic is a member of the Australian Dental Prosthetists Association. We can also provide visits to homes and aged care facilities for dentures in Melbourne. ©2018 Altona Denture Clinic. All Rights Reserved.